Rumors are coming strong since this morning that Google maybe well on its way to launch a high-config Nexus tablet pretty soon. The name Nexus going off with the tablet from Google reflects just reflects the high-end Android devices like the Nexus One and Nexus S.
Also Google already has an Android version Honeycomb, which will specifically cater to tablets. So why not make one with its own brand name and specs also decided by itself? Makes sense to us. On another note, if you’re expecting it to be another under-powered slate T-mobile G-Slate you might want to think again. Google always has the reputation of releasing devices under its brand which are at par with the technology and configurations currently available in the market. 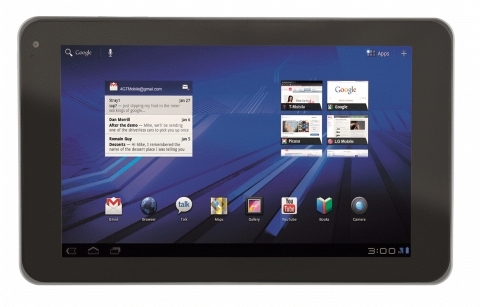 All coming from the rumors, the information about the rumored Nexus tablet: It will be manufactured by LG. Obviously it will be running the latest version of Honeycomb. LG being the manufacturer sounds a bit contradicting as LG already has its T-mobile G-Slate aka LG Optimus Pad Honeycomb tablet. But LG could take this one up for manufacturing for promise of a tablet with higher config. Google is most probably looking to prepare a core Android tablet which will get the Android OS updates directly from the Google in the same manner as Nexus phones. LG is the only manufacturer which agreed to Google’s terms. The tablet is said to arrive in the market in late summer or early fall, maybe somewhere around September this year. Google surely wants to bring a tablet that can serve as a reference point for the tablet industry and with which OEM and developers can identify with. We will be waiting.